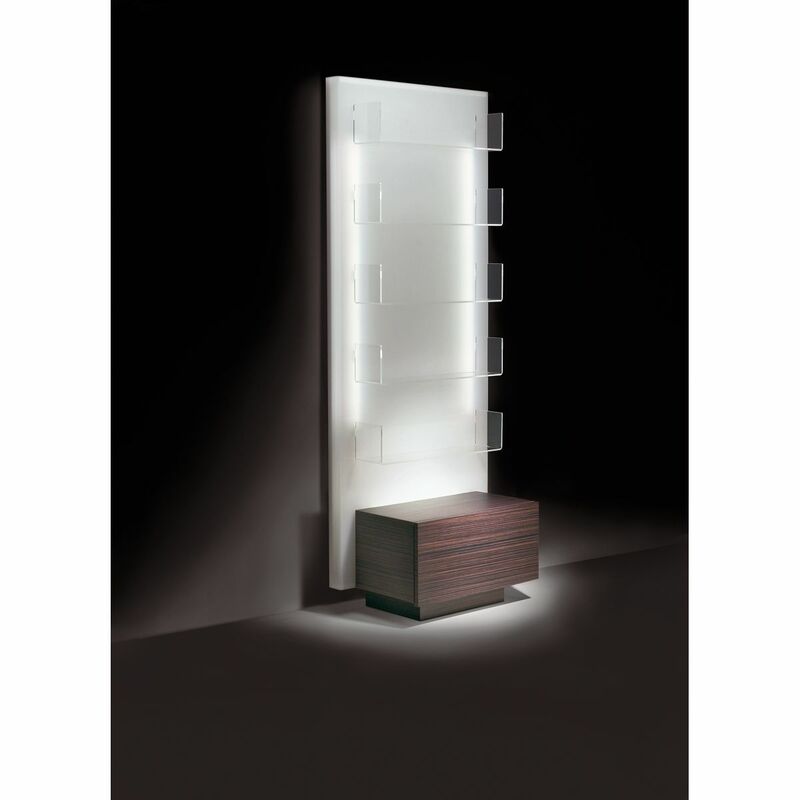 This acrylic display cabinet comes with back illumination. It has shelves in plexiglass and storage drawers in beechwood. Made in Italy.